Foobot vs. Awair vs. Speck and More: Which IAQ Device Wins? From asthma and other respiratory ailments to common sensitivity, there are a plethora of reasons why someone might want a smart indoor air quality, or IAQ, monitor. Unfortunately, selecting the best home monitor for mold, chemical pollutants and particles isn't quite as straightforward as it seems. The same advanced tech that powers these devices can also make shopping very confusing for the average consumer. It can be hard to discern which features and designs are worth the price. Here are some facts about the most popular options and a few considerations to keep in mind while shopping for the best IAQ solution. Certainty matters when it comes to environmental safety. Since most exposure incidents unfold over time, it doesn't take a huge amount of a breathable hazard to cause harm. A monitor designed to take accurate, precise measurements is essential for those who want to protect themselves and their families. When the U.S. Environmental Protection Agency, or EPA, sets safety acceptability standards for different substances, the limits are usually extremely tiny. For instance, 1990's Clean Air Act (0) says that ozone concentrations shouldn't exceed 0.070 ppm, or parts per million. So which monitor is the most accurate? One study by the University of Iowa (1) found that Foobot beat other commercially available options, like Awair, in terms of measurement uniformity. 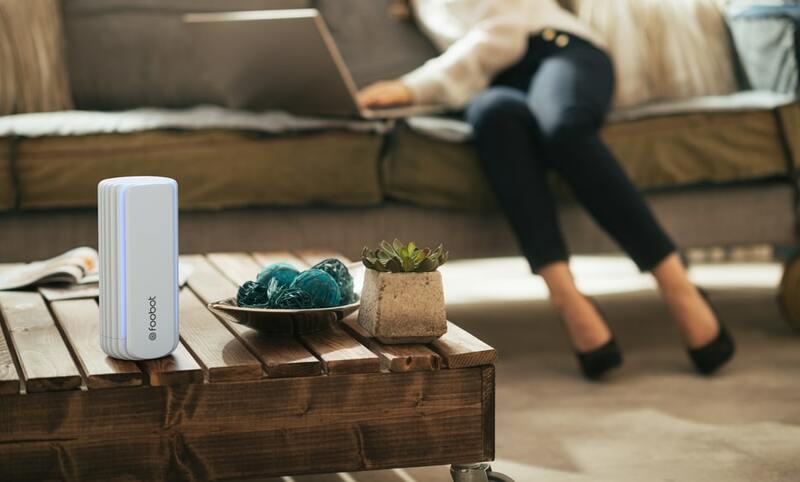 It also outperformed a scientific-grade professional indoor air quality monitor at detecting certain substances, such as PM1 airborne particles that might exacerbate some health issues. Although all air quality sensors have their own biases, devices that perform consistently under a broader array of conditions may be the best choice for long-term household use. Another study (2) by the National Berkeley Lab confirms Foobot accuracy is superior to Awair's. Airborne particles like dust aren't the only things worth detecting. A home with an IAQ problem might be rife with a host of other substances too, such as carbon dioxide, and gaseous volatile organic compounds, or VOCs. Good detectors typically feature an array of sensors designed to monitor different hazards. That said, most measure VOCs as a dangerous gas and regard CO2 as a proxy for human occupation instead of as a pollutant. Are devices with more sensor types better? Looking at the whole package is important: Different factors can have a dramatic impact on the perceived discomfort and side effects associated with bad air. For instance, excessive humidity, or airborne moisture, can lead to mold growth that causes respiratory ailments. With too little humidity, a building's occupants might suffer from dry eyes and mucous membrane irritation (3). Persistent humidity and VOCs may lead to sick building syndrome, a condition where a building's occupants become ill seemingly without reason. Sick building syndrome is particularly problematic for already at-risk individuals or those suffering from existing health problems, such as the elderly and children (4). In short, the best monitors don't just measure IAQ: They track it intelligently. Bear in mind that there are many different ways to quantify air quality. While Awair focuses on dust, for example, Dylos, Foobot, Speck and other alternatives provide a more comprehensive look at all kinds of particulate matter in the 2.5-micrometer range, which may include smoke, mist and other breathable hazards. Those seeking the best air quality monitors for specific dangers (like nitrogen dioxide, mainly an outdoor pollutant) should pay close attention to how their preferred tools actually function. For instance, living mold releases VOCs, so accurate VOC and humidity detection are critical to tracking this hazard. Air quality is a complex subject, so it can help to have things laid out in a clear, concise manner. Monitoring devices like Awair make this possible with bar charts and numerical displays. Speck includes a touchscreen with a recent history graph. Will visual bells and whistles benefit the home consumer? Remember that ease of use outranks aesthetics: Many monitors already include mobile apps that let users delve into the specifics of different chemical pollutants and risk factors, so complicated indicators may not be worth the expense. Devices like Foobot, which uses at-a-glance, color-coded visuals to let people know whether there's an air quality problem, might also be better suited to the typical on-the-go modern lifestyle. Being able to explore specific IAQ factors from the comfort of a mobile device is pretty handy. Like the monitoring devices that they connect to, however, not all IAQ dashboards are equal. The Awair and Foobot apps both help occupants understand their homes' environmental health status by including numerical scores that provide an overall assessment of IAQ from their mobile device. Users of either product can zero in on data like local humidity and temperature at a touch. Where Foobot's mobile app stands out is in that it seems a bit more comprehensive. For instance, both offer tips on striking a balance between energy efficiency and air quality by doing things like opening windows to increase circulation. The difference is that Foobot goes deeper with more exhaustive historical IAQ records and the ability to tag specific events associated with air quality changes, such as cleaning or cooking. From nitrogen dioxide and regular household dust to obscure chemicals on the U.S EPA list of volatile organic compounds, many conditions and environmental factors impact air quality. Choosing a monitor that makes it easy to understand and track the substances that matter over time is the key to staying healthy. In the end, Foobot may very well be the best available tool for getting educated on IAQ. Want to find out more about everything from carbon dioxide to common air pollutants? Click here to find out what the main sources of nitrogen oxides and VOCs are, or learn about VOC units of measure and environmental safety standards here.